June 2016, Designing Media Ecology No. 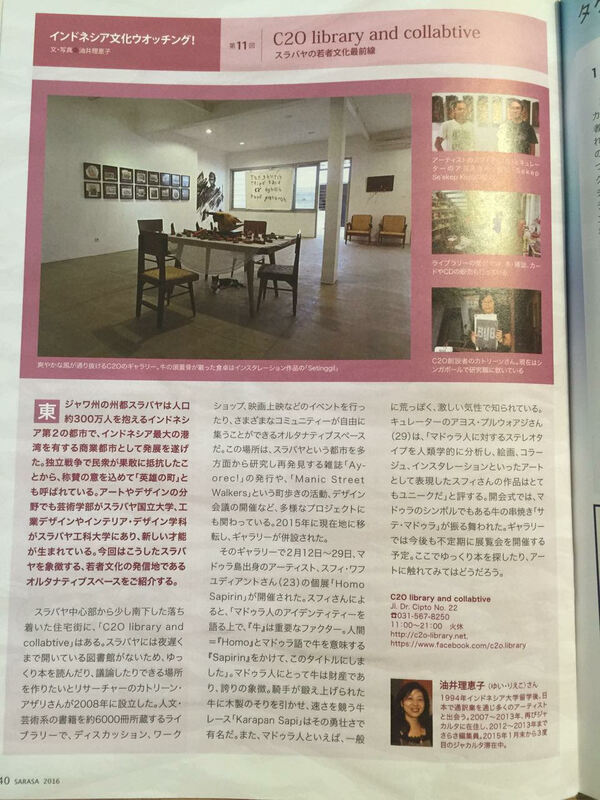 5: Mobility and Place: Alternative Spaces in Asia, Sharing Knowledge: Archives & Libraries (in Japanese). 3 Maret 2015, Suara Surabaya, Talkshow dengan Ayorek! 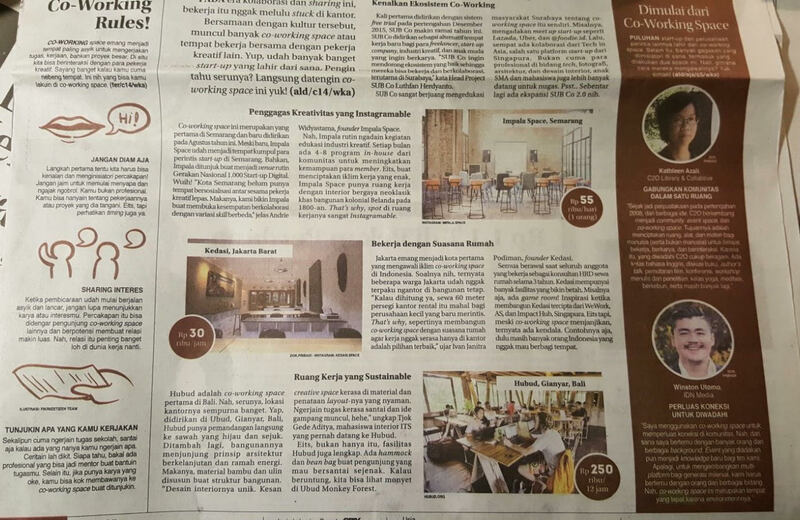 Januari 2015, Dewi, Motivasi agar kota dan lingkungan menjadi tempat tinggal yang lebih baik: Ayorek! 28 January 2015, Ayorek! 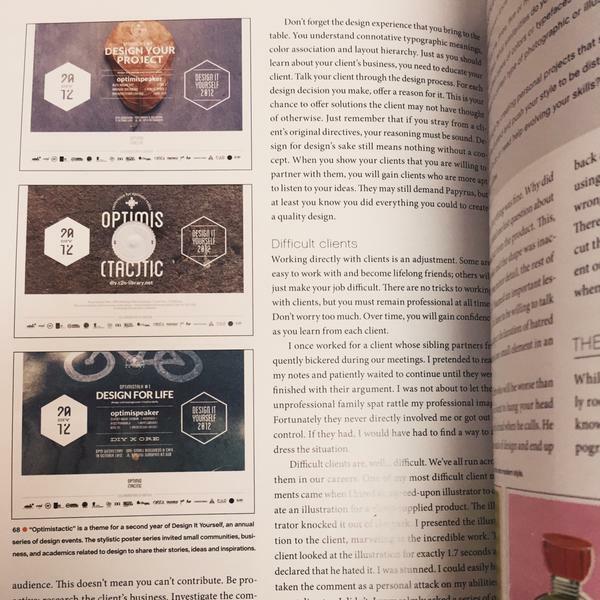 and Design It Yourself featured in Denise Bosler, Creative Anarchy, HOW Books. 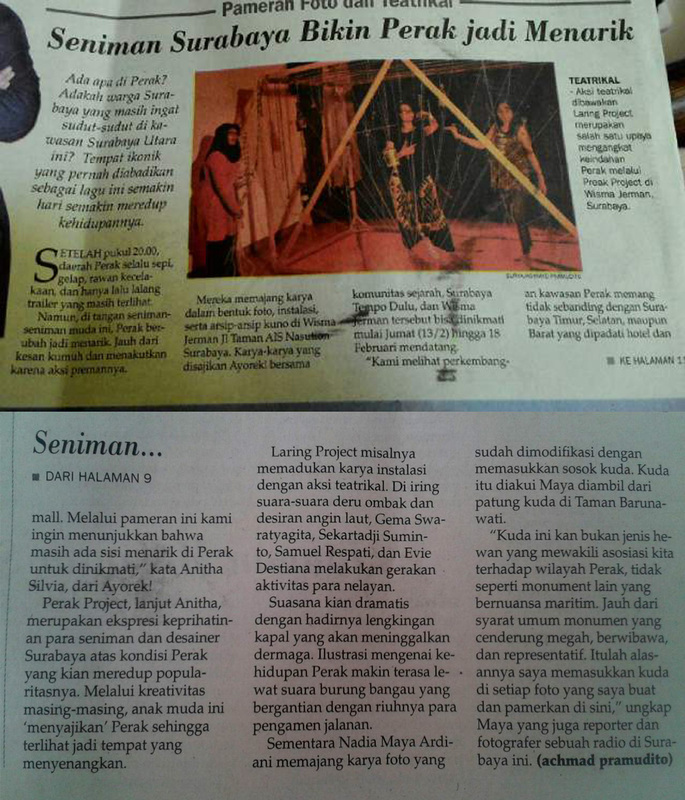 Agustus 2914, NYLON Magazine, Ayorek! 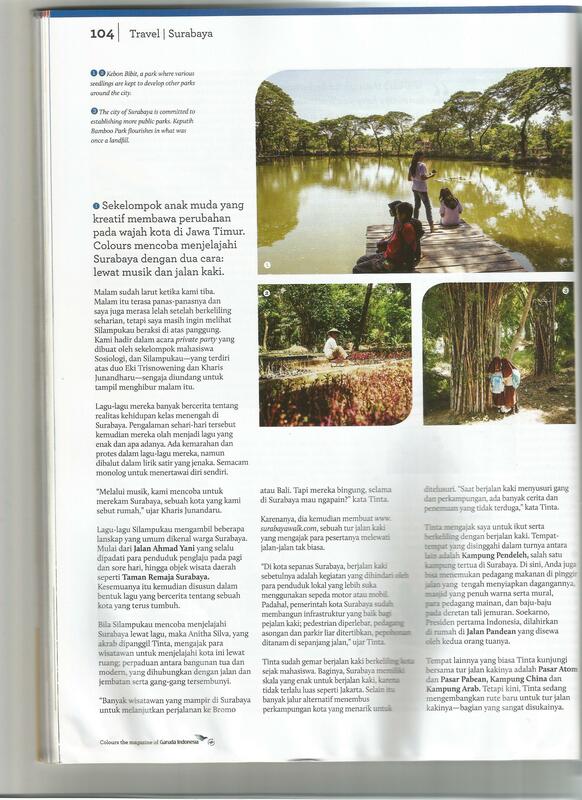 featured in The Local Buzz: Surabaya. 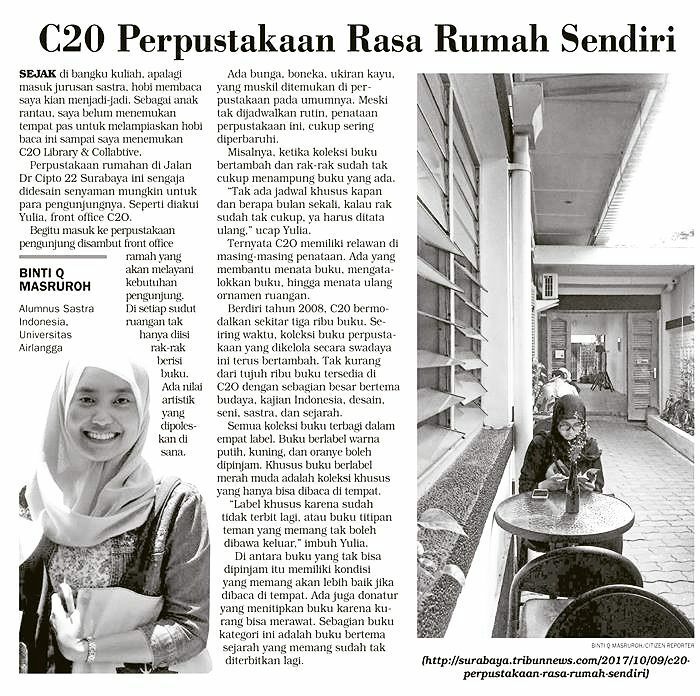 Biaya operasional sehari-hari C2O dikumpulkan secara swadaya melalui biaya keanggotaan, sewa buku-tempat-fasilitas, penyelenggaraan acara, penjualan makanan minuman dan merchandise, donasi pengunjung, dan konsinyasi titip jual. Hibah dari organisasi donor ataupun sponsor sejauh ini bukanlah untuk pendanaan operasional, tapi untuk projek atau penelitian (6-24 bulan). 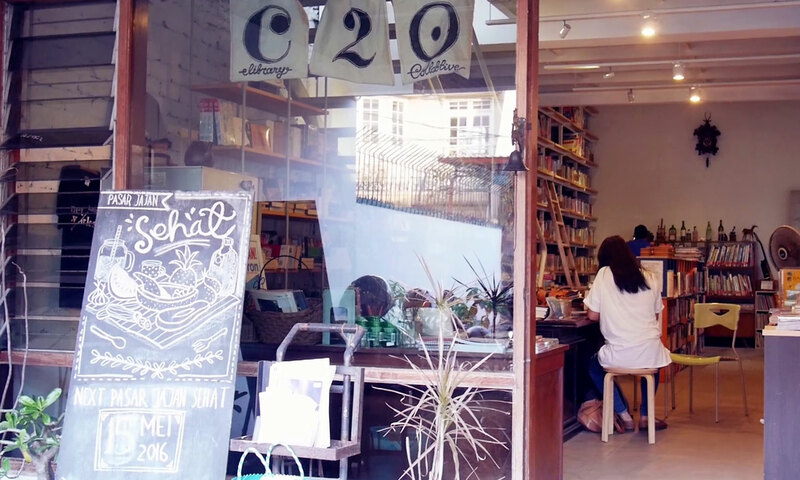 Please note that C2O is an independent organisation, with its operating cost funded by membership subscriptions, book and facility rental fees, sales of merchandise and books, donation and in-kind supports from its team and supporters. Thus far we have received sponsorships and grants only for short-term researches and projects (6-24 months). 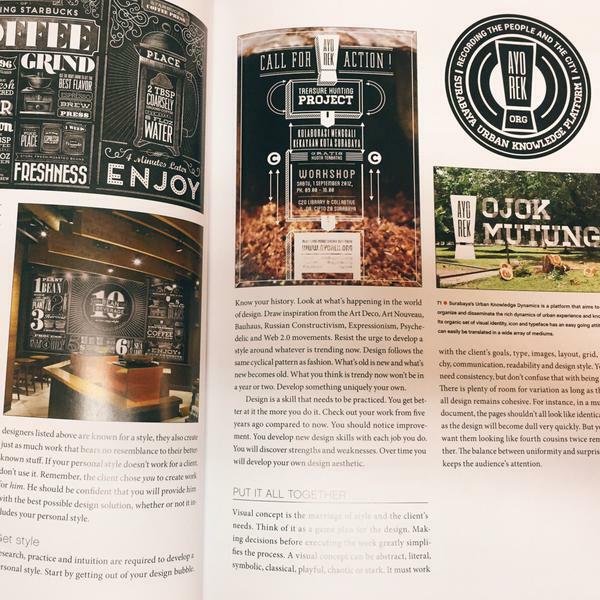 Most Creative Reading Comunity, Gramedia Reading Community Competition 2016, essay written by Raymond Chen. Local research partner, Citizen Urbanism (funded by Ford Foundation through Rujak Center for Urban Studies), 2015 – 2017, IDR 60,000,000. 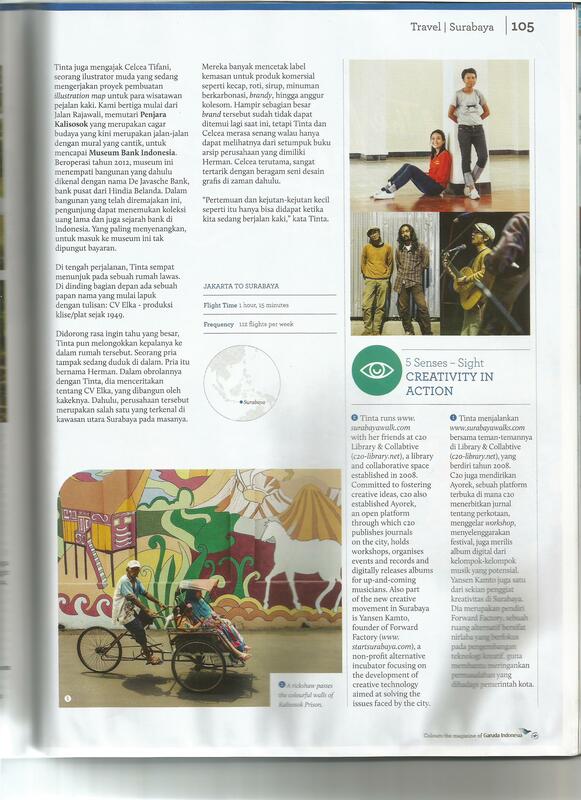 Winner, Diageo-British Council Social Enterprise Challenge for Arts, Creative & Tourism Organisations 2015, IDR 50,000,000. Public presentation & academic publications on C2O/Ayorek! 24 July 2016, presented by Kathleen Azali in the Plenary Session 1, “A City Made by the People for the People: Urban Youth Perspectives and Actions,” in Urban Youth Meeting, organised as a parallel event of the UN Habitat III PrepCom3. 18 October 2015, presented by Kathleen Azali in a panel on “Mobilizing for Change: Tomorrow’s Leaders Taking Action Today“, in Asia-Pacific Urban Youth Assembly (APUFY), organised by Indonesian Ministry of Public Works and UN Habitat. 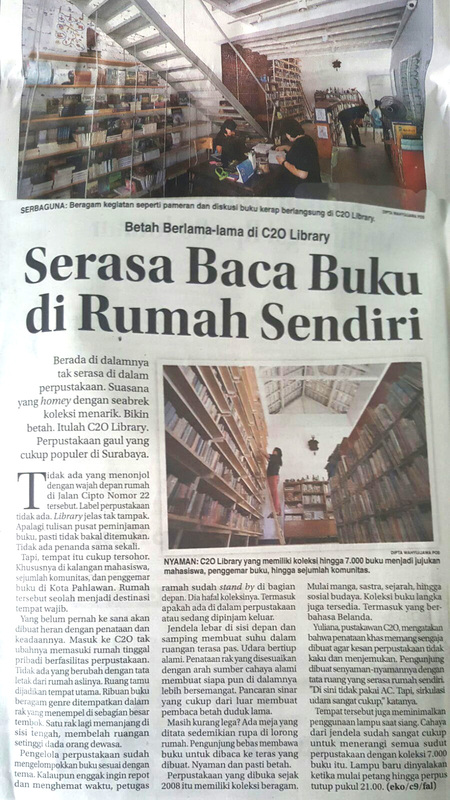 12 November 2014, “Tanggapan Terhadap Komunikasi Pemasaran C2O library & collabtive,” skripsi S1 oleh Wisnu Satriyo, Universitas Airlangga, Surabaya. 1 October 2014, “Visions for a Creative City”, presented in Creativity and the City Conference in Hanoi, organised by Goethe Institut, Hamburg University, British Council, UNESCO. 14-15 August 2014, “Archiving and Not Forgetting: A Case of C2O in Surabaya for Youth Aspirations,” presented by Rahmad Hidayat, from PGRI Adibuana University, in Urban Aspirations Asia, National University of Singapore. 26 Oktober 2013, Ayorek! and the importance of knowledge production platform presented in TEDxTugu Pahlawan. 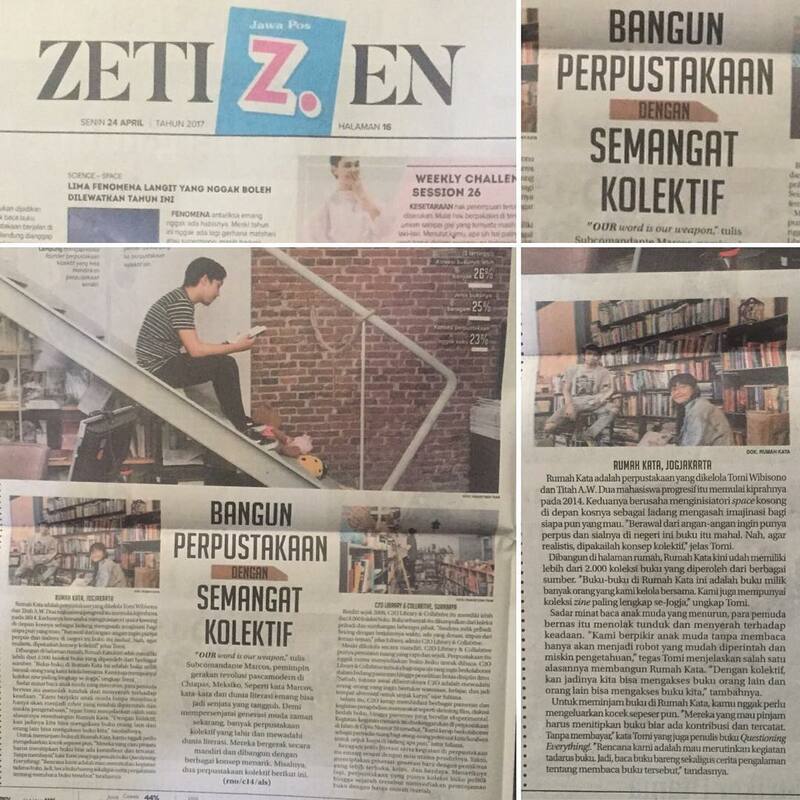 Untuk informasi lebih lanjut mengenai kami, silakan cek halaman tentang kami.